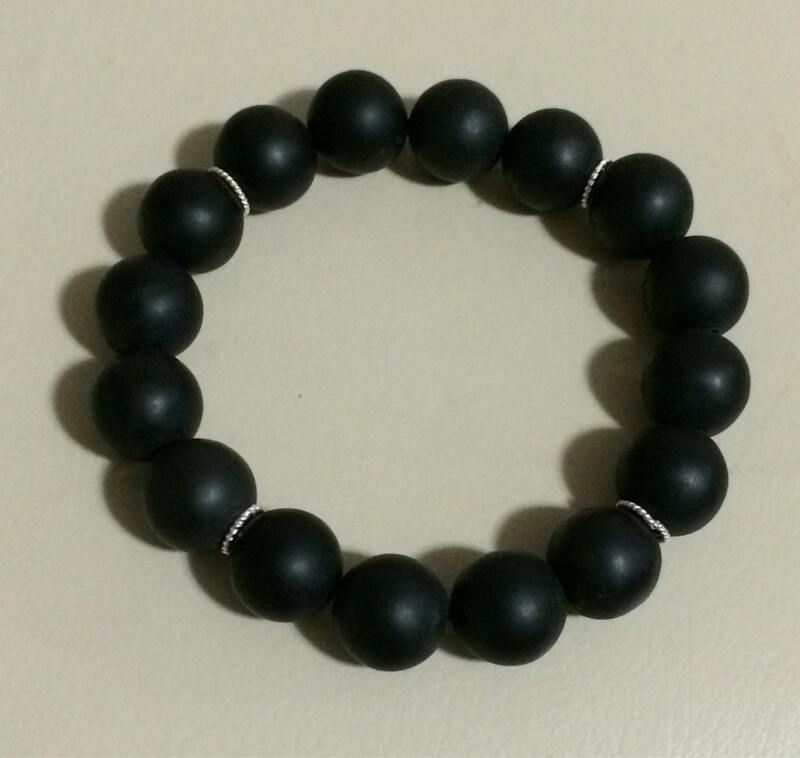 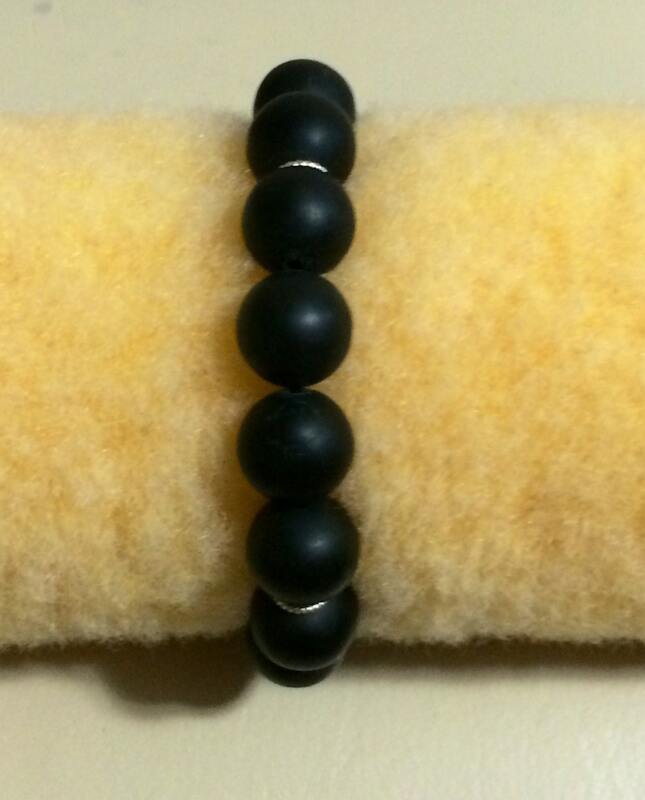 Make a Statement Black Onyx and Sterling Silver Bead Stretch Bracelet. 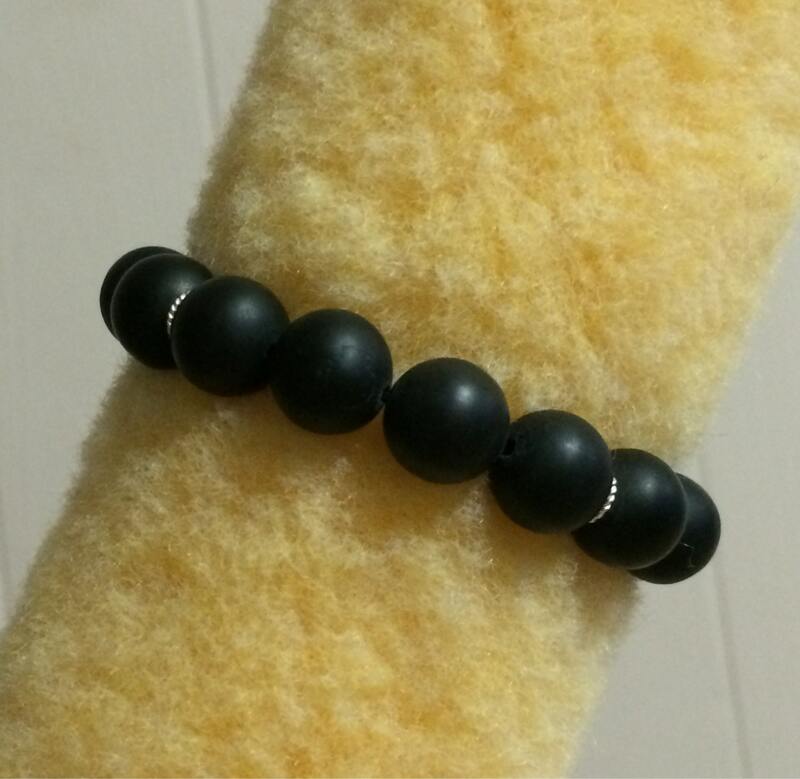 Colorful style meets functional versatility with this bracelet. 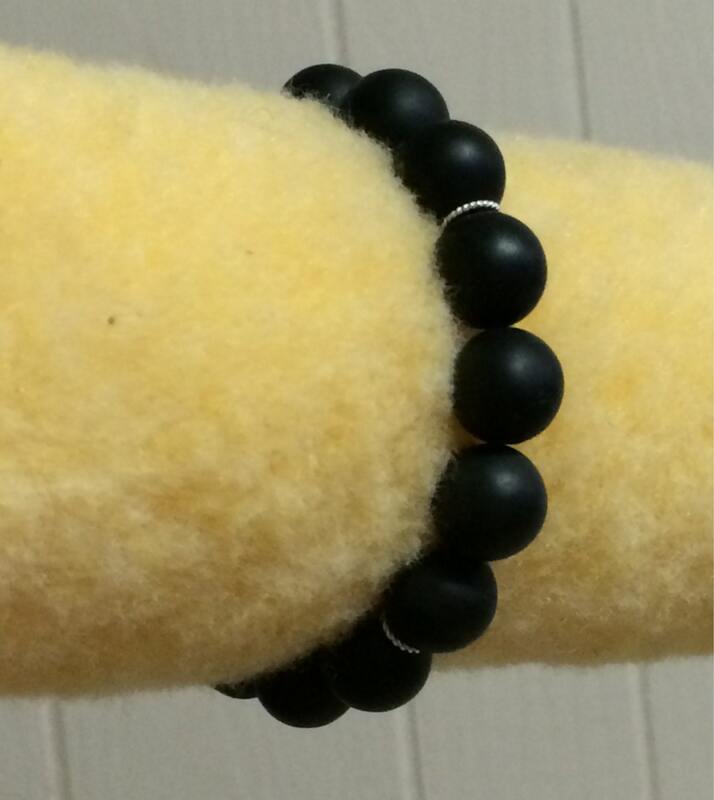 Designed with fashion and comfort in mind, this stretch bracelet have been strung with round cut Onyx and twisted Sterling Silver stations beads .This Gemstone Bead Stretch Bracelet Will Accentuate your wrist. 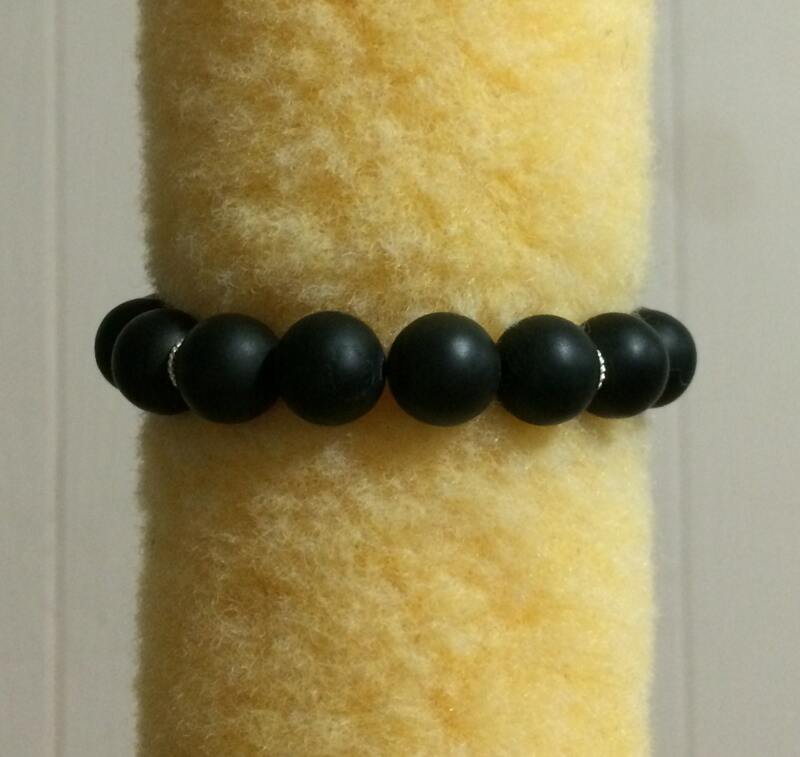 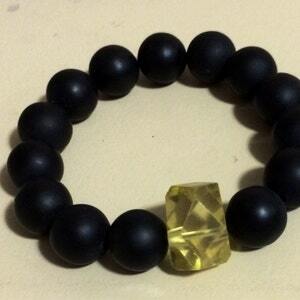 Make a Statement Black Onyx and Lemon Quartz Bead Stretch Bracelet. 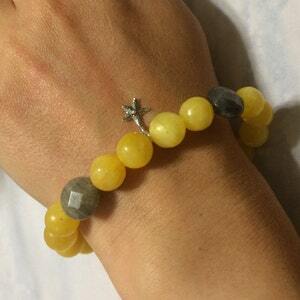 Sterling Silver Yellow Aragonite tiny starfish charm stretch bracelet. 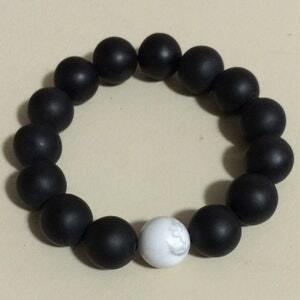 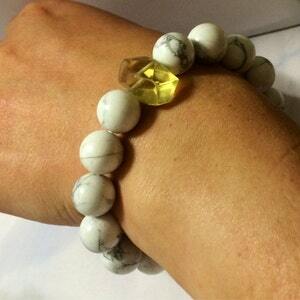 Make a Statement 7.5" Howlite and Lemon Quartz Bead Stretch Bracelet.